MK Kitchen Manila, Philippines specializes in hotel, restaurant, food and cooking equipment, supplies and services to cater from small restaurants to big kitchen facilities like hotels, resorts, schools, hospitals, commercial buildings, and similar establishments. The company also provides after sales services. The website has been designed and developed by another Korean-based company. Ongoing SEO and online visibility, however, is currently being handled by i-Build.PH Web Solutions and Services. 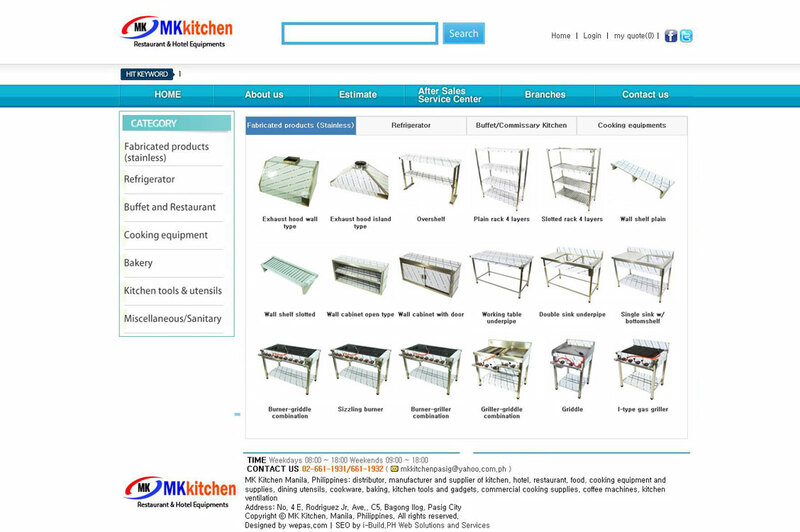 To view the website, visit http://www.mkkitchenmanila.com.